This is an Odin Works upper, and a built lower with an XLR Industries stock. Topped off with a Burris XTR II 4-20 In a Burris PEPR mount. We hammered my steel plates from at 900 and 1100 yards yesterday afternoon. 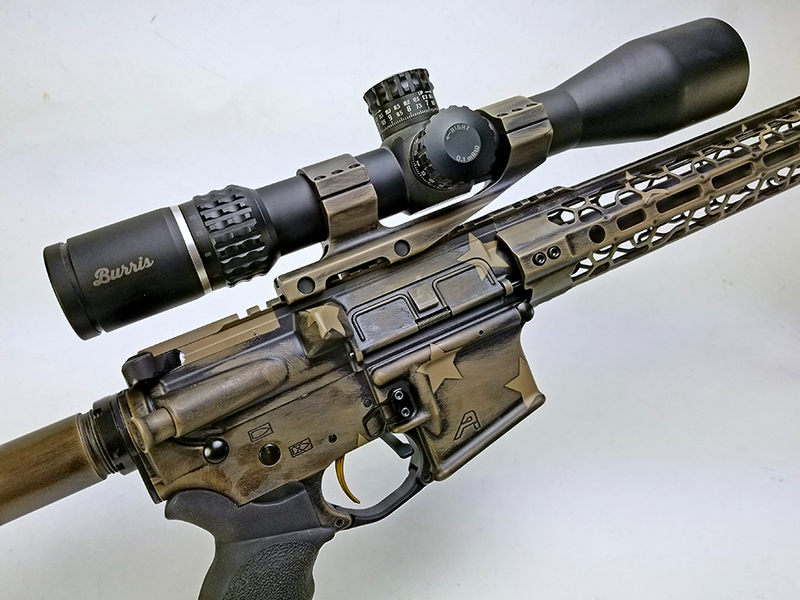 The XTR II in this magnification range is an absolute perfect fit for this rifle. 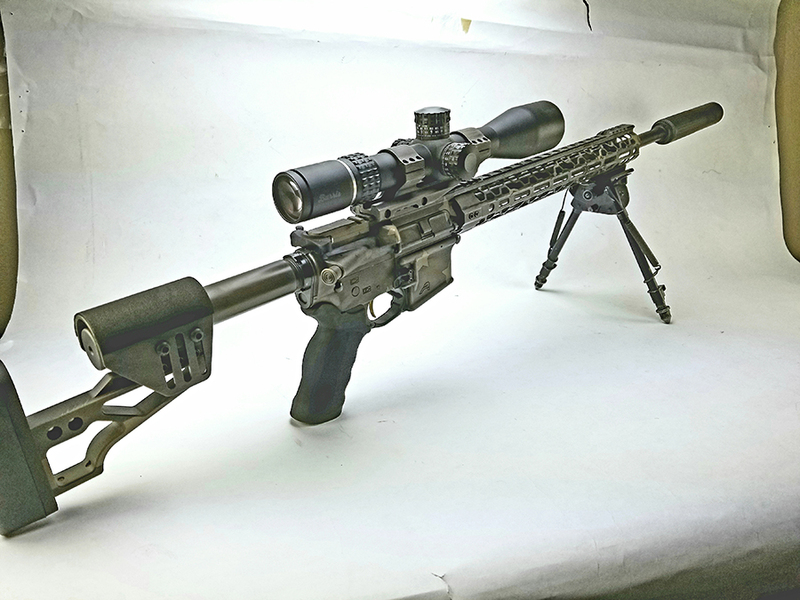 I love the features and reliability of this optic!! Ja Hymer lives in Boise Idaho and shoots competitively year round in 3 Gun and Precision Rifle, with a little Steel Challenge and USPSA on the side. He had six top 4 finishes in the five state Rocky Mountain Region of the PRS Club Series in 2017, including two wins. 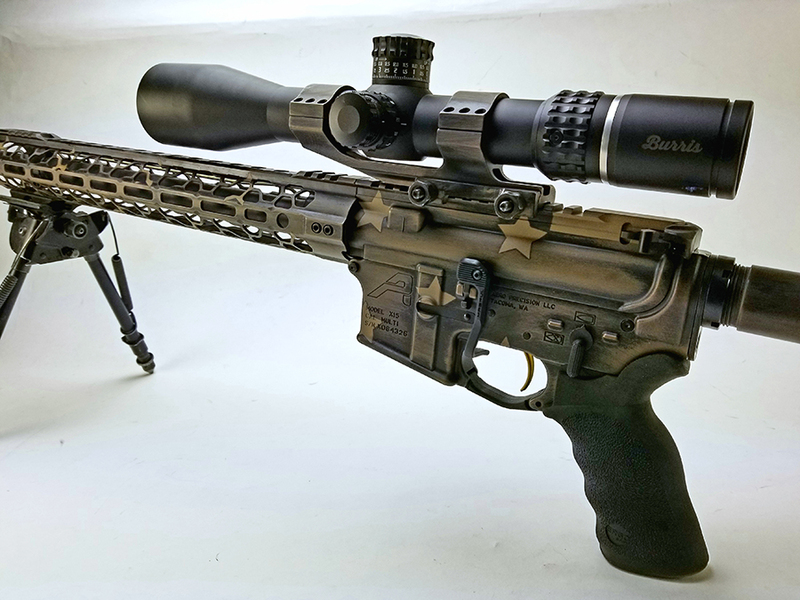 LPVO is a an abbreviation that has been quickly gaining popularity among the AR-15 crowd, although the rest of the shooting world seems to be largely oblivious to it. Guest blog post written by Ilya Koshkin, who runs the OpticsThoughts website. He reviews countless optics, using his extensive career experience in electro-optics and digital imaging to provide reasoned objectivity in his reviews.